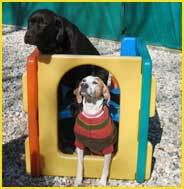 Gypsy Glen K-9 Kastle Pet Resort’s first concern is the health and happiness of your pet. 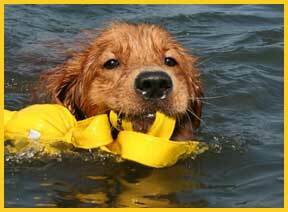 We provide Lake County and McHenry County Illinois dog boarding, dog daycare, cat boarding, pet sitting and more. Recognizing that separation from family and home can be stressful, Gypsy Glen strives to provide an environment where your pet feels safe, loved and content. The State of Illinois licenses Gypsy Glen. It is owned and operated by Kathy Reiland and her daughter Margaret. Gypsy Glen is located on their 70-acre homestead that includes a 23-acre lake in which the dogs may swim. The resort welcomes dogs, cats, rabbits, ferrets, reptiles, birds, potbelly pigs and other exotic pets. Their canine suites are 45 or 85 square feet, which can accommodate one to two family pets, depending on their size. Exterior runs are covered, so even in inclement weather, dogs have access to the outdoors. Cat condos are 8 square feet. Dogs and cats are kept in separate areas. Stalls are provided for potbelly pigs. It is requested that birds, small mammals, reptiles and other exotic pets be brought to the resort in their own cage. Long a member of the green movement, Gypsy Glen uses solar panels to heat their water and provide auxiliary heat during the winter. Heating and air conditioning is provided in the resort area. Gypsy Glen also circulates Earth Heart Aroma Therapy throughout the resort to help improve air quality. In keeping with its belief that an organic environment promotes healthy long lives Gypsy Glen encourages the use of organic foods, treats, baths, dips and aromatherapy. Gypsy Glen and her owners are members in good standing with the Cary-Grove Chamber of Commerce, Car•Dun•Al Obedience Dog Training Club, Northwest Obedience Club, Wauconda Area Chamber of Commerce and Women in Business Council, Gypsy Glen is a sponsor of the Assisi Animal Foundation and Helping Paws Animal Shelter Home in Woodstock. Kathy became an entrepreneur at the age of ten when she opened a dog washing and walking service. She continued to learn about pet care services by working at a veterinarian – boarding facility. In the 80’s, she added teaching to her resume by training hunting dogs for competitive field trials. As a breeder of Labrador Retrievers, German Shepherds and English Pointers, she finished champions in both confirmation and field trials. Reiland contributed to the community by becoming the Director of Training for Illinois and Wisconsin Search and Rescue teams and trained a dog that was used by the McHenry County Sheriff’s office in the Narcotics and Tracking Division. She also trained and donated the first two dogs used for accelerant detection by the Illinois State Fire Marshal. With all of this experience under her belt, Kathy opened Gypsy Glen K-9 Kastle in 1988. For over twenty years, Kathy has continued to build her expertise in the industry. Through this well respected care facility, she provides excellent and caring services and strives to educate her large client base and the community-at-large about their pets. Kathy serves on the board of the Land Conservancy of McHenry County and is a member of the Delta Society, Therapy Dogs International, the American Dexter Cattle Association and the McHenry County Farm Bureau. As a child, Margaret could often be found sitting in the whelping box with the mother and her new puppies. As an adult, dogs are always coming to sit with her. It was this wonderful rapport with animals that led her to spend three years at the Midwest College of Oriental Medicine. Margaret is a licensed acupuncturist and has also studied Shiatsu and Reiki. She is experienced in working with horses, dogs, cats, rabbits and birds. Margaret is also a former 4-H member (age 8-12). She has worked at the resort since she was 14 and continues to do so while building her practice. Now 4 years old, weighing in at 8 whole pounds and sporting a straight, dense black coat, he is ready for that BIG world. His tail, which is almost as long as he is, waves excitedly as his white rear paws make like jumping beans when he darts about. Visit Poquito as we chronicle his life in the “Perils of Poquito”. First in the series will be Poquito – The STAR! He appeared in the October edition of the McHenry County Living magazine. The article and pictures are available through the link below. 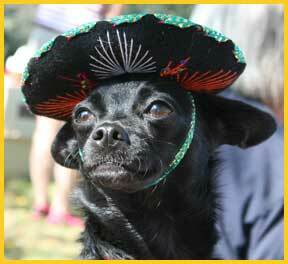 Read more about Poquito, our therapy dog in training (PDF).